Syrian government forces have suspended “active” combat actions against militants in eastern Aleppo to carry out a “tremendous” operation to evacuate some 8,000 civilians from the city, Russian FM Sergey Lavrov said in Hamburg, Germany. Lavrov was speaking on Thursday on the sidelines of a meeting of ministers from the Organization for Security and Co-operation in Europe (OSCE). The Russian foreign minister also urged the UN special envoy to Syria, Staffan de Mistura, to “stop sabotaging” the Geneva Syria peace talks. Speaking to reporters, he also expressed hope that those responsible for the recent attack on a Russian mobile hospital in western Aleppo will be brought to justice. The assault happened earlier this week and left two female paramedics dead and one chief pediatrician severely injured. "We are just doing our job, probably not everyone likes it, and a recent targeted strike against our hospital is yet more proof of that. But I am convinced that all measures will be taken to punish those responsible, and to prevent similar [attacks] in the future," Lavrov said. He noted that the US State Department previously expressed regret over the incident, but emphasized that “it has to clarify” all the circumstances. However, according to Foreign Minister “in cases when the Syrian government can be suspected, Americans are not clarifying anything, but are immediately heading to the microphone, demanding [the perpetrators] be punished." 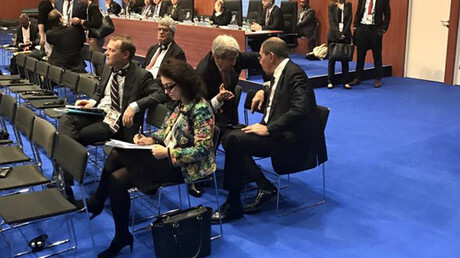 On Thursday, Lavrov also met with his US counterpart John Kerry, and later in the day held a telephone call with him. 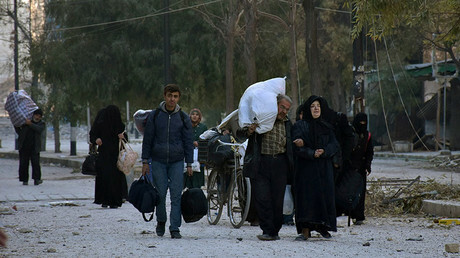 Resolving the Syrian issue was at the center of these talks, the Russian Foreign Ministry announced. In particular, the officials discussed ways to increase joint work between military experts from both countries. Lavrov said that he and Kerry managed to reach an agreement which includes a meeting on Saturday in Geneva “between our [Russia-US] military experts and diplomats.” The gathering should help complete the negotiations on the US proposals on Aleppo and Syria in general, which have been “sporadically” ongoing over the past days. In the telephone call with Lavrov, Kerry agreed that military experts from Russia and the US should cooperate closely on the withdrawal of the militants from Aleppo, the Russian Foreign Ministry said. 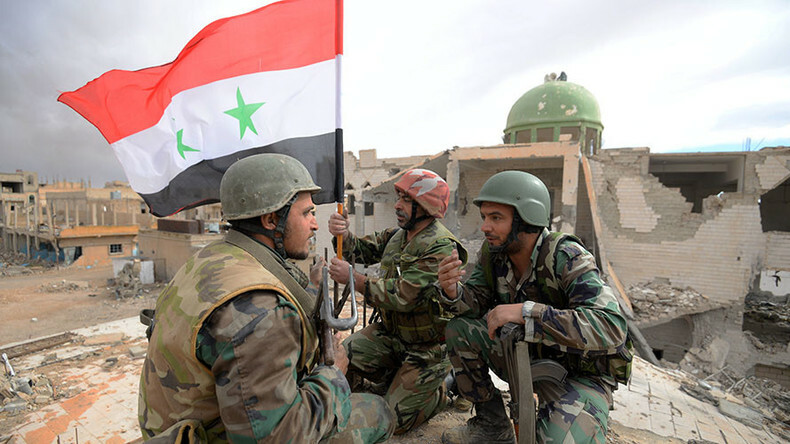 "Based on the US side's declared readiness to facilitate the withdrawal of militants from that city, the sides agreed to look into practical details of this process at the expert level in the nearest future," the ministry said. Meanwhile, Moscow is fully determined to complete the battle against terrorists, Lavrov said. “Our strategy is very simple – it is entirely based on a UN Security Council resolution, which envisions to mercilessly fight terrorists till their complete destruction, while at the same time solving humanitarian problems of the civilian population and starting a political process,” he said. Lavrov also provided a take on Wednesday’s allegation from the US State Department spokesman Mark Toner, who said that Russia is not actually fighting terrorists (like Jabhat al-Nusra), but rather the so-called moderate opposition. "As for Jabhat al-Nusra, the US is not only not touching it, but also tried to negotiate our agreements in a way which let al-Nusra remain unpunished,” Lavrov countered. The group is a UN listed terrorist organization and “surely, we cannot accept it,” he said. Retired US Army Colonel Larry Wilkerson told RT that it is time to end the spilling of blood in Syria, since western attempts to oust Assad have failed. "There is an old theory in international relations that some wars have to be won. Well, this is one that has been won and it has been won by Assad and his allies," Wilkerson said. The official elaborated that the West should "recognize that to stop the killing, to stop the slaughter, to stop the bloodshed." "Stability in this case is better than what we have right now. It would be the same in Libya. We opened Pandora's box in Libya too and look what we have now." Since attempts to drive out the legitimate Syrian President have failed, the international community needs to “make accommodation with him [Assad]"
"We need to bring some stability back to Syria,” Wilkerson concluded.